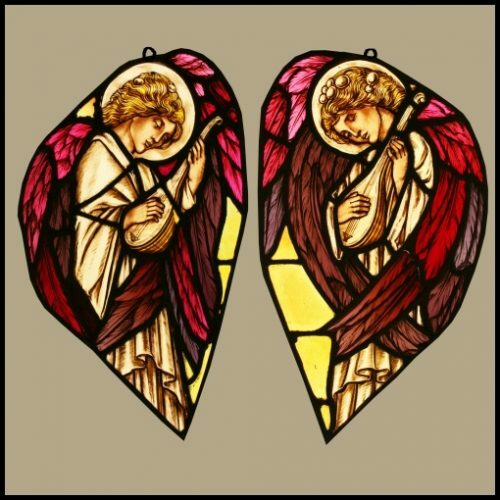 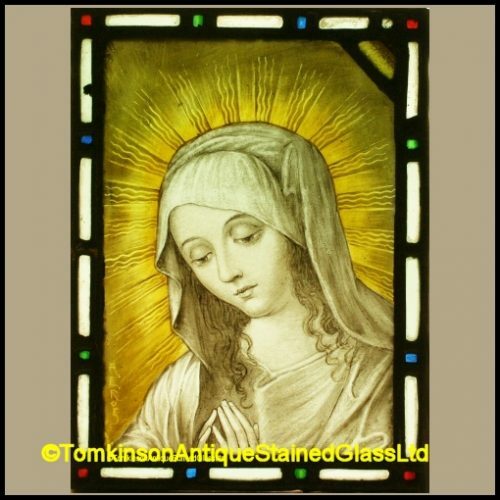 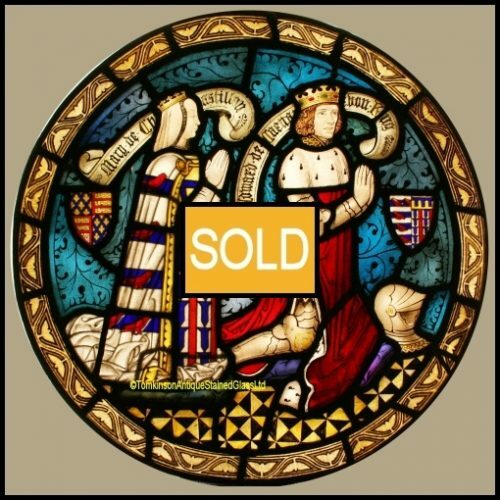 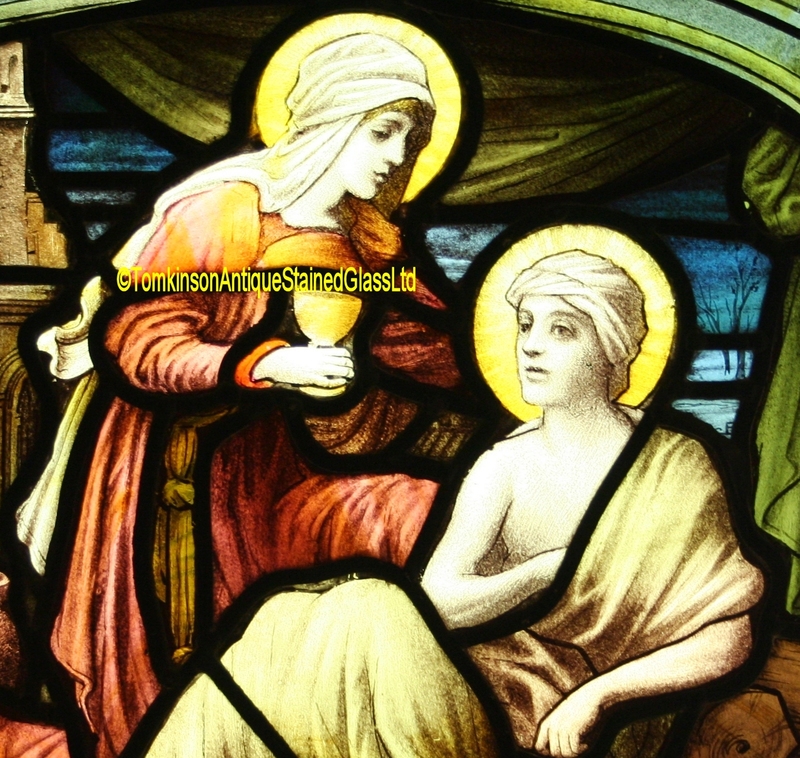 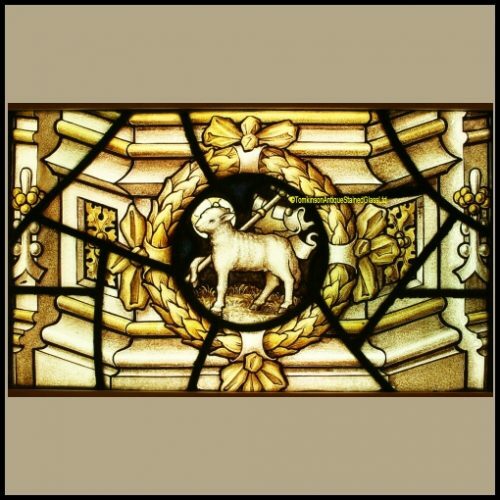 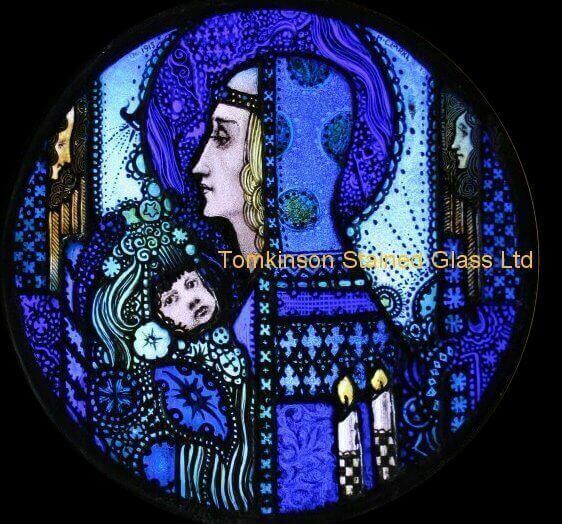 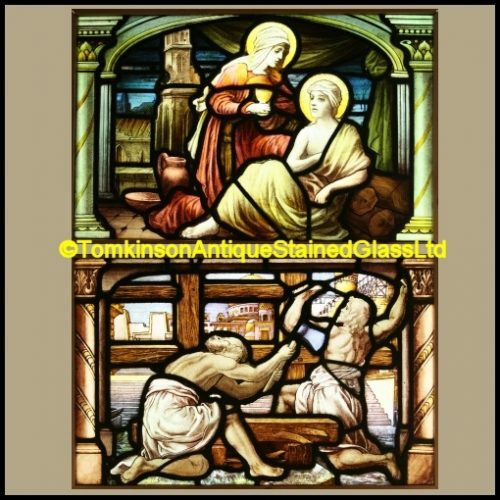 Two antique religious stained glass panels, both leaded with hand painted coloured glass. 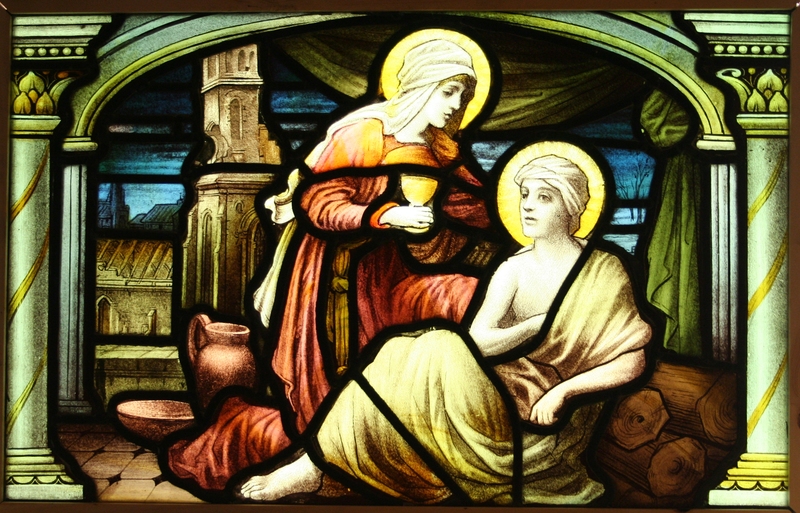 Panel 1: Depicts Virgin Mary giving food and drink to a man. 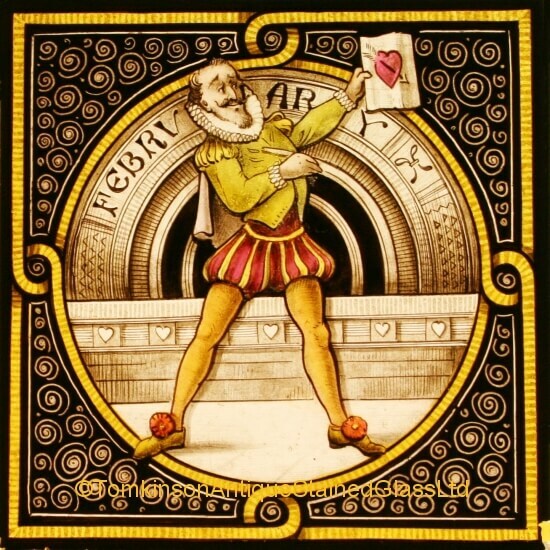 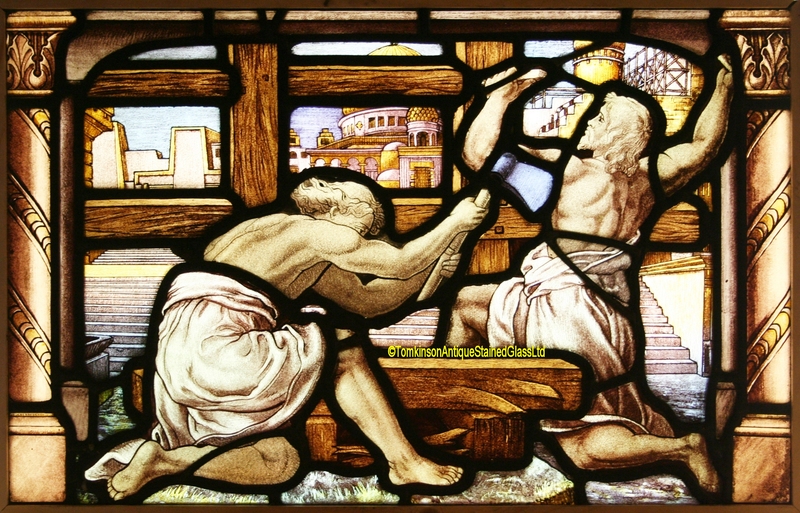 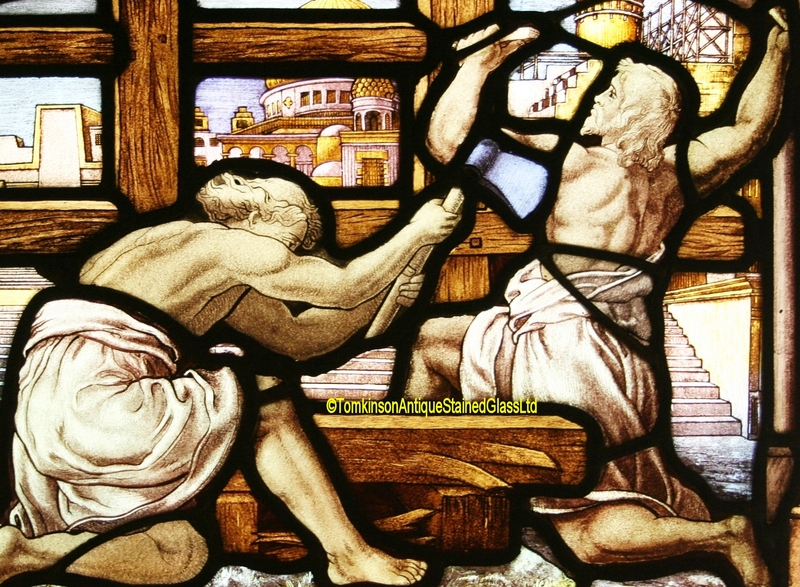 Panel 2: Two men laboring. 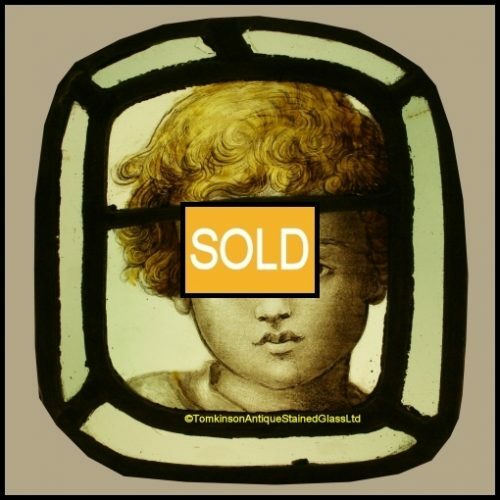 Both panels are in excellent condition and can be sold separately.